U.S. national security adviser John Bolton is set to press Turkey for assurances it won't attack Kurdish allies in Syria, which he said is now a condition for the withdrawal of American troops. U.S. national security adviser John Bolton is set to press Turkey for assurances that it won't attack the Kurdish fighters in Syria, which he said is now a condition for the withdrawal of American troops from northeastern Syria. Bolton arrived Monday for negotiations with the NATO ally about the safety of the Kurds, who have fought alongside American forces against the Islamic State in Iraq and Syria (ISIS) and fear a military assault from Turkey if the U.S. should pull out. During a visit to Israel on Sunday, Bolton said guarantees about the safety of the Kurds were a "condition" of the withdrawal of about 2,000 troops in the region that President Donald Trump ordered last month. A Kurdish official in northern Syria said Kurdish forces have been left in the dark about shifting U.S. plans. "We have not been formally or directly notified. All what we heard were media statements," Badran Ciya Kurd told The Associated Press on Monday in response to Bolton's latest comments. Bolton also said the U.S. wouldn't leave northeastern Syria until ISIS militants were defeated. The talks in Turkey are likely to be contentious, as Turkey considers the Syrian Kurdish People's Protection Units, or YPG, a terrorist group linked to an insurgency within its borders, and has threatened to mount a campaign against the groups. Bolton, who is expected to meet Tuesday with Turkish officials including President Recep Tayyip Erdogan, said the U.S. would oppose any such move against its allies in the fight against ISIS. "We don't think the Turks ought to undertake military action that's not fully co-ordinated with and agreed to by the United States," Bolton said Sunday. Trump has made clear he would not allow Turkey to kill the Kurds, Bolton added. "That's what the president said, the ones that fought with us." Turkish Defence Minister Hulusi Akar hit out at Bolton on Monday, saying on Twitter that Turkey's fight isn't against Kurds but against Kurdish rebels and ISIS militants who pose a threat to all ethnic groups. "Our fight is against YPG, PKK and IS [ISIS] terrorists who are a threat against our Kurdish, Arab, Turkmen brothers and all ethnic and religious groups," he said. PKK is the outlawed Kurdistan Workers' Party. And Turkey's presidential spokesperson, with whom Bolton will meet Tuesday, called allegations his country planned to attack the U.S.-allied Kurds in Syria "irrational" and said Turkey was fighting terrorism for national security. "That a terror organization cannot be allied with the U.S. is self-evident," Ibrahim Kalin said Sunday in comments carried by the official Anadolu news agency. Those comments marked the first public confirmation that the drawdown has been slowed since Trump's announcement in mid-December. At that time, Trump said U.S. forces "have defeated ISIS in Syria, my only reason for being there during the Trump presidency" and that "it's time for our troops to come back home." Trump had faced widespread criticism from allies about his decision, including he was abandoning the Kurds in the face of Turkish threats. Officials said at the time that although many details of the withdrawal had not yet been finalized, they expected American forces to be out by mid-January. 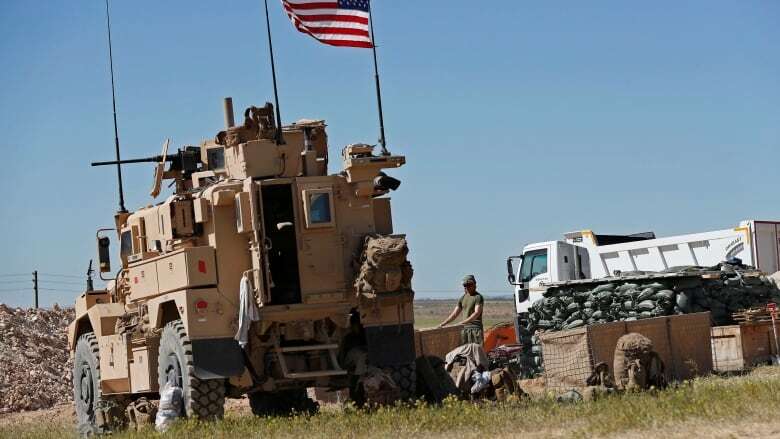 Trump had also said that Turkey would step up the fight against the remnants of ISIS in Syria, but Bolton said Sunday U.S. troops will eliminate what remains of ISIS before leaving northeastern Syria. He will be joined by the chair of U.S. Joint Chief of Staff Gen. Joseph Dunford, who will remain in Turkey for additional meetings with Turkish military officials centred pressing for protection for the Kurds, as well as Jim Jeffrey, the special representative for Syrian engagement and the newly named American special envoy for the anti-ISIS coalition. Jeffrey will travel from Turkey into Syria to reassure Kurdish fighters that they are not being abandoned, Bolton said. A senior Kurdish official said Monday that Syria's Kurds are awaiting clarifications from the U.S. Speaking to The Associated Press from northern Syria on Monday, Badran Jia Kurd, said the Kurds have not been informed of any change in the U.S. position and were in the dark about Bolton's latest comments. Kurdish officials have held conversations with Moscow and Syrian President Bashar al-Assad's government about protection. Bolton said the U.S. has asked the Kurds to "stand fast now" and allow the U.S. to continue negotiations. "I think they know who their friends are," he said, speaking of the Kurds.